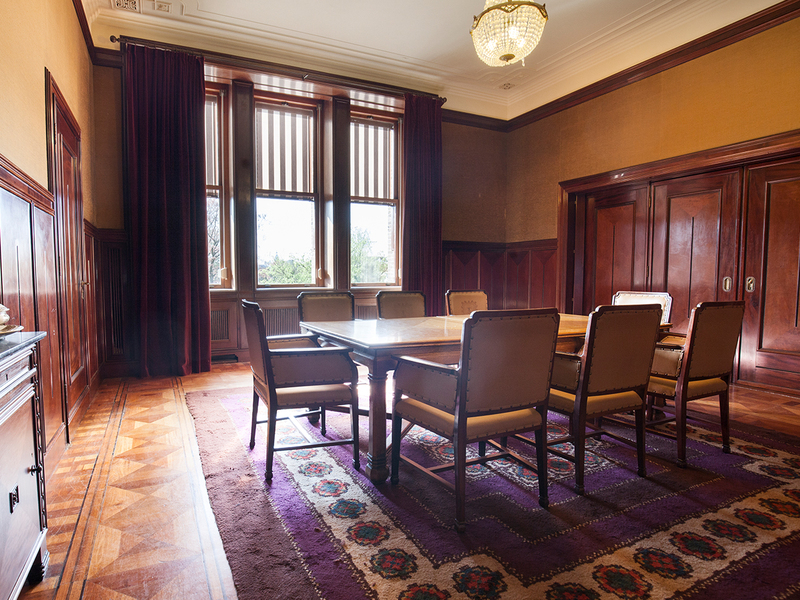 The Palisander Room is a special location for your meeting or presentation. 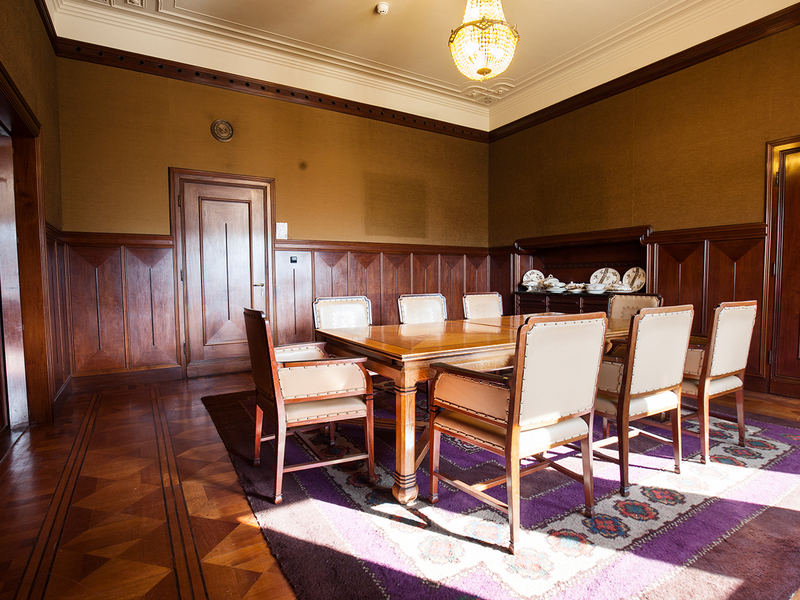 This room can also become an extension to the King´s Room using the large sliding doors. This flexibility provides many different set-ups. 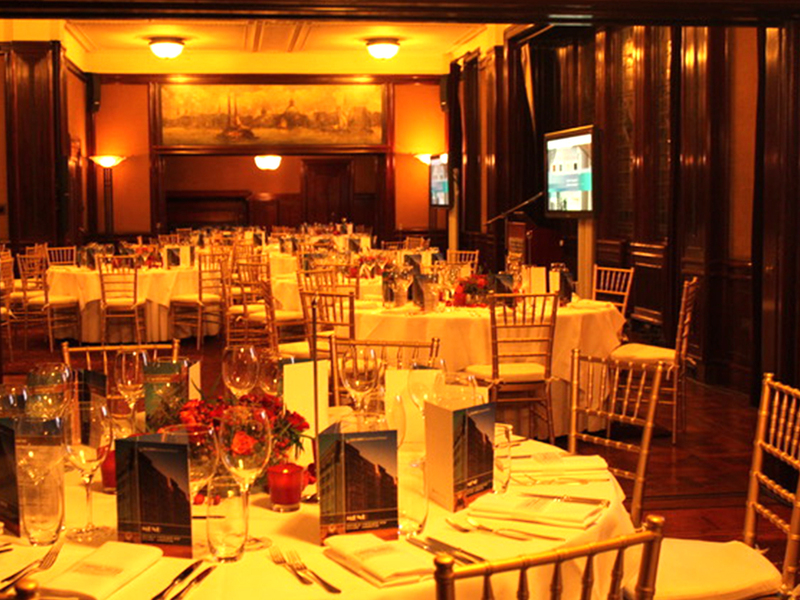 A popular arrangement is the placement of several round dining tables in the three rooms. 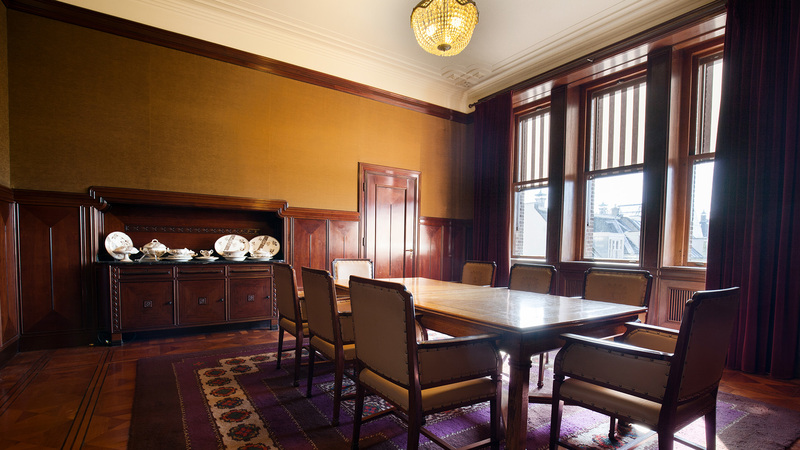 This lunchroom of the supervisory board of the Dutch Trading Company with a beautiful interior, furniture and stylish chandeliers still has the original marble buffet tables. 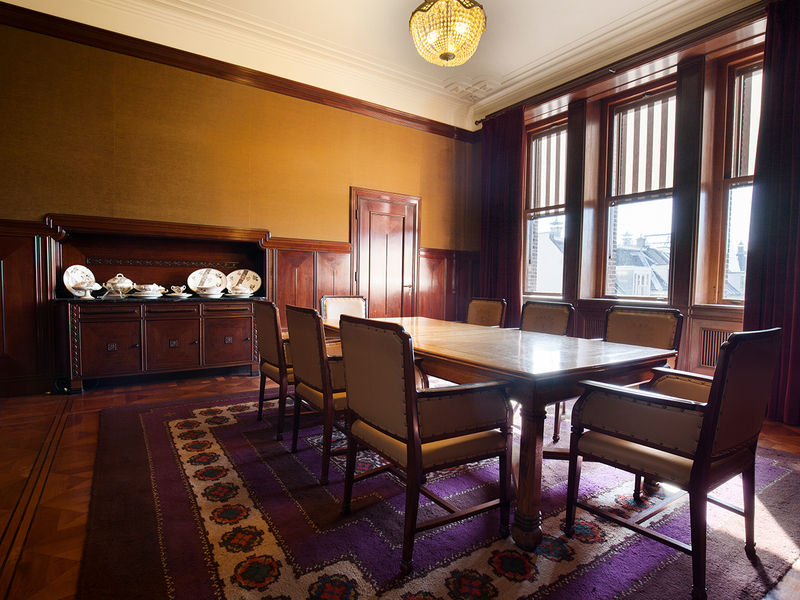 The used panelling in the room is made of Indonesian Rosewood, which is named Palissander in Malaysian.